Geez, it has a been another action-packed week of long hours and hard work. We’re still pushing hard so I’ll keep this one brief. We’re feeling pretty exhausted but excited as can be as products come together. 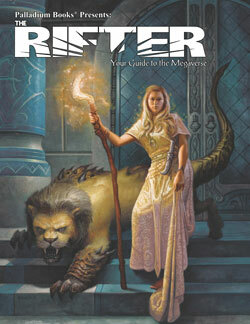 Articles are continuing to be selected and artwork assigned for The Rifter® #63. A couple pieces have come in from artist Tanya Ramsey and they are perfect. John Zeleznik is done with the cover and it looks great too. Another fine issue is shaping up. Much of our attention this week has been on Robotech® RPG Tactics as it nears completion. 90% of the artwork, and 80% of the sculpts have been tweaked and approved. Wayne and I have been working on the final editing and polishing of the text for the rules. The actual rules have been done for a while now. The rules are solid, fast and fun. The text has been retooled for clarity and understanding. I think we’re in good shape with 90% of that work now done as well. Along with all of that, there have been nonstop emails, phone calls and discussions regarding design elements, text and approvals between Palladium, Ninja Division, Harmony Gold, artists and the creative team. Whew. Almost done. The game book, packaging and all the many other design elements for the boxed game and expansion kits go into final layout next week. I want to say this game is great and you will love it . . . but I think all of us are too close to it for an objective opinion. Like everyone giving birth to a child, idea or product, we love it. I believe it is damn good. I can assure you that EVERYONE who worked on this game at Palladium Books and Ninja Division, as well as the many freelance artists, sculptors and play-testers, have given their all in the creation of this game. We’ll know in the Fall what the final verdict is when you, our customers and Robotech fans, get the finished product. We’re thinking it will be love at first sight, but we don’t want to count our chickens before they hatch. [expletive deleted]! Despite our best efforts and high hopes, Rifts® Northern Gun™ One is not yet finished and will slide into a darn July release. With Robotech® RPG Tactics™ done and to be sent into manufacturing by the end of next week, and with most of the Gen Con convention details worked out, we’ll be able to focus ALL of our time and attention on getting this epic sourcebook done and to the printer. And I mean ALL of our attention. 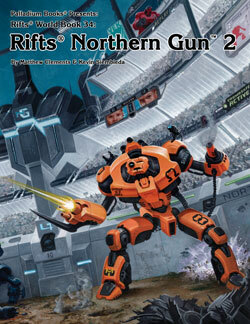 As soon as Rifts® Northern Gun™ One is finished, I will dive into Rifts® Northern Gun™ Two. We are going to do everything we can to have NG-2 done in time for Gen con. After that, we hope to release one rockin’ book after another. Things are continuing to progress on this front. Those of you who have contacted us about your Kickstarter pledge not going through, should have gotten an email from Palladium to make sure you are counted among the KS pledges and get to participate in the Kickstarter offer. If you have not heard from us, don’t delay, please contact us at 734-721-2903 or send us a message through Kickstarter, just be aware it will take us longer to get back to you. We don’t want anyone who tried to be part of the Kickstarter to get left behind. We greatly appreciate the tremendous support you’ve all given us and want everyone to be satisfied. If you got left out and want in, contract the Palladium offices (734-721-2903 order line). 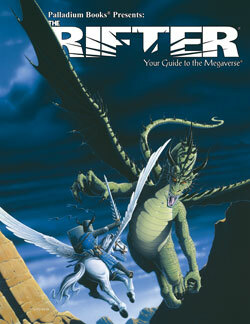 The FREE Sneak Preview of The Rifter® #62 is available now (includes the missing Experience Tables for Rifts® Black Market and Vampire Kingdoms™), as well as Rifts® Vampires Sourcebook and an early one for Rifts® Northern Gun One (with a newer one coming in a few weeks), on DriveThruRPG.com for your enjoyment. There are also previews available for Rifts® Vampire Kingdoms™ (Revised Edition), Rifts® Black Market, Rifts® Lemuria, Dead Reign™ RPG, Endless Dead™ sourcebook and others. The original Rifts® Vampire Kingdoms World Book is also available as a PDF on DriveThruRPG, for those of you who may be interested. More than 90 other Palladium titles can be found on DriveThruRPG.com as PDFs, including Splicers®, Rifts® RPG (the edition before RUE), The Rifter® #1-52, and first edition rule books and sourcebooks for Palladium Fantasy RPG®, Heroes Unlimited™, The Mechanoid Invasion® Trilogy, Beyond the Supernatural™ and lots of other good titles. DriveThruRPG.com also offers the Rifts® and Palladium Fantasy® Game Master Kits ($5 each; both written by Carl Gleba and complete with maps, combat matrix, character sheets, spell list, and 20 pre-rolled characters created by Julius Rosenstein). We have continued to work on Gen Con plans. In fact, Palladium’s Gen Con Email Blast has been submitted and will go out sometime today. Our Coupon Book entry has been submitted, and many other arrangements hammered out. All we need to do is place our order for any furnishings, electricity, and the truck. Gotta remember the truck! As noted in the last Update, we plan to make a big splash at Gen Con this year. There will be all kinds of Palladium product available – new titles and back stock, original art, prints, Robotech® demonstrations, painted samples of Robotech® game pieces on display, convention specials, and myself and other Palladium creators to autograph books, chat and have loads of fun. Kevin Siembieda – Publisher, writer and lead game designer at Palladium Books. Carmen Bellaire – Writer (Splicers®, Powers Unlimited™ series, etc.) and co-game designer of Robotech® RPG Tactics™ to run demos, talk about the game and sign autographs. David Freeman – Lead game designer of Robotech® RPG Tactics™ to run demos, talk about the game and sign autographs. Various other Ninja Division personalities and creators. Wayne Smith – Palladium editor and Editor-in-Chief of The Rifter®. Matthew Clements – Writer (Rifts® Black Market, Northern Gun 1 & 2, The Rifter®, etc.). Charles Walton – Artist (Rifts® Lemuria, NG 1 & 2, and many others). Brandon Aten – Writer (Rifts® Triax 2, Madhaven, Sovietski, and The Rifter®). Mark Oberle – Writer (Nightbane® Survival Guide, The Rifter®, etc.). Mike Leonard – Writer and artist. Jeff Burke – Robotech® consultant, artist and writer. Thomas Roache – Play-tester, Robotech demonstrator and writer. Please come to the Palladium booth #1025 to chat, get autographs, and find out the latest news. We’ll also have some sneak previews, original artwork by Chuck Walton and others, prints and special promo items (even some Robotech® RPG Tactics™ game pieces!) available, and you’ll be able to demo the game itself. Join the fun. I’ve talked with the convention people and Palladium has been given the green light to orchestrate gaming and to have a huge presence at this growing comics, games and media convention. I want to see us host dozens of Palladium RPG events, but I NEED volunteers to run games and gamers to attend to enjoy them. Like I said last Update, I can see us making this a Palladium Open House style event. And if it goes well this Fall, it could be the home of an annual Palladium event. Please helps us make this happen! ● Harmony Gold’s Robotech® tour will be there. And more to be added . . .
● If timing works out, Robotech® RPG Tactics™ may debut there. ● Many comic book guests. ● Artists’ alley and more! ● Detroit Fanfare is estimating 7,000-9,000 people in attendance this October! And growing. It’s held at the Adoba Hotel (formerly the Hyatt Regency and only 20 minutes from the Palladium offices), in Dearborn, Michigan, October 25, 26, 27, 2013. Join the fun. ● Palladium Books needs Game Masters to run events! Like the Open House, volunteer G.M.s will get a discount on Palladium products. We’ll also see if we can get you in to the convention for free if you run three or more games, but no promises. Let’s make this a fun Palladium event within an already fun convention. Gamers, we’ll need you too. Attend and make this event a haven for Palladium gamers. Here’s the link to the Detroit Fanfare convention. Palladium is not listed yet because we’ve yet to determine whether or not we can do this gaming program. Either way, myself and the Palladium crew will be present. Need to run. Keep those imaginations burning bright. The Rifter® #62 is truly special, with page after page of “official” source material and one great idea after another. Do not miss out on this issue. Each and every issue of The Rifter® is an idea factory that helps players and Game Masters to generate new ideas and keep their games fresh. It provides useful, ready to go, source material gamers can just drop into their ongoing games. A doorway to new possibilities and numerous Palladium role-playing worlds. Rifts® – OFFICIAL Rifts® Vampires Sourcebook Bonus Material by Matthew Clements and Kevin Siembieda. Awesome, fun stuff we cut from the sourcebook due to page count considerations. Heck, we had already increased the Rifts® Vampires Sourcebook from 96 pages to 128, and then to 160. The book finally topped out at 176 pages and we still had source material and ideas that Kevin Siembieda finished up for inclusion in this issue of The Rifter®. - More about the secret vampire special forces organization, Deathspike. - More Deathspike O.C.C.s including Werewolf Agents. - Two notable Deathspike leaders. - The vampires’ Top Ten Enemies List. - Some additional vampire fighting gear. - 11 Hook, Line and Sinker Adventures. Rifts® – OFFICIAL Black Market O.C.C. Experience Tables by Kevin Siembieda. Please note that the Experience Tables will also be made available online for free in the next week or so. Please make sure people who purchased Rifts® Black Market know about that. Rifts® – OFFICIAL Necromancy and Bone Magic spells by Jeff Duncan. What else is there to say than more magic and darkness for your Necromancers (and the African Witch)? Rifts® Northern Gun™ Sneak Preview of the Gunbot Robot-Killer by Matthew Clements and Kevin Siembieda. Text and art to give you another taste of what’s coming in NG-1. 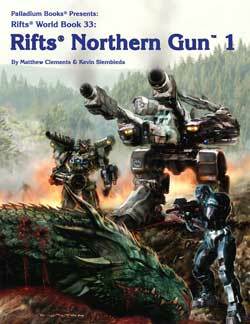 Also see the more expansive, FREE Rifts® Northern Gun™ Advance Preview that has been available on DriveThruRPG.com. Palladium Fantasy® source material by Michael Long. A very detailed presentation of a castle with dozens of maps and floor plans, plus a general description. Heroes Unlimited™ – World Association of Super-Humans by Thomas Morrison. A peacekeeping organization with international credentials that works with law enforcement agencies and governments around the world. All Settings – An in-depth look at the Climbing skill and its many uses, by Michael Strom. 96 pages – Still only $11.95 retail – Cat. No. 162. Available now. Palladium Fantasy® source material – Mythic Monsters. 96 pages – Still only $11.95 retail – Cat. No. 163. July release. 160 pages – $20.95 retail – Cat. No. 887 – July release. Check out the free Advance Preview on DriveThruRPG.com! 160 pages – $20.95 retail – Cat. No. 888 – August release. 192 pages – $24.95 retail – Cat. No. 876. Summer 2013 release. Love Game of Thrones? Use Palladium Fantasy® to create your own epic fantasy adventures in the frozen north dominated by the Wolfen. Explore the decadent wonders of the Western Empire. Help build and defend the burgeoning kingdoms of the Eastern Territory, or explore the monster-filled lands of the Baalgor Wastelands. Or perhaps fight pirates or explore the Floenry Island chain or the foreboding Mount Nimro region, land of giants. And those are just a few of the places that await you. Have you wondered what the Palladium Fantasy RPG® is like? Now’s the perfect time to give it a try and find out. Palladium Fantasy Role-Playing Game®, 2nd Edition, is a world steeped in tens of thousands of years of history, magic and dark, dark secrets. At the moment, it is humans who dominate the land, as the times of Titans, Dwarves, Elves and others are long past. Still, the future of humanity is uncertain, as the Wolfen and the other canine races in the north challenge their dominance, and monsters gather in the fabled lands of the Old Kingdom. Non-human races provide a host of unusual beings as player characters, including Changelings (who can assume the shape and appearance of any humanoid), Wolfen, Trolls, Ogres, Goblins, Kobolds, Gnomes, Elves, Dwarves, humans, and dozens of “optional” creatures found in both the Palladium Fantasy RPG®, Monsters & Animals and other titles. Do you already love Palladium Fantasy® like we do, and have you been thinking about getting more sourcebooks for it? This is the time to expand your collection. Fantasy Sale! Palladium Fantasy turns 30 years old this month, and to celebrate, we have reduced the price of every title in the game line by 30%. So give it a try or expand your collection. 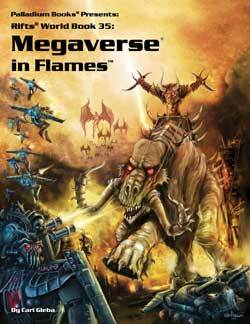 It will also give you a leg up for when Palladium Books releases several new and expanded Fantasy titles next year. We have exciting plans for Palladium Fantasy. If you’re a Robotech® fan, this is the game you’ve wanted for decades, with beautifully sculpted, in scale, game pieces and the fast action of Robotech®. Robotech® RPG Tactics™ is a fast-paced, tabletop combat game that captures the action and adventure of the Robotech® anime. Two or more players can engage in small squad skirmishes or scale up to massive battles. Relive the clashes of the First Robotech War, engage in stand-alone tactical games or use the dynamic game pieces to enhance your Robotech® RPG experience. Or simply collect your favorite mecha from an expanding range of top notch game pieces. Brought to you by Palladium Books® and Ninja Division (the creative minds behind Soda Pop Miniatures and Cipher Studios). Rules by legendary Alessio Cavatore, Ninja Division’s David Freeman and Palladium’s Carmen Bellaire. Full color, 90+ page, softcover rule book; wraparound cover and lots of new, color artwork. Barring any unexpected delays, the Robotech® RPG Tactics™ box game and initial expansion sets should go to manufacturing end of June. An exact street date is unknown at this time and we’d rather not speculate, but definitely Fall, 2013. $90 retail price (tentative). The price of the final box set is not yet determined, but we want to hold it at the $80-$90 range. Expansion kits will fall into the $25-$30 range for most. Several expansion kits will be released at the same time as the box set. More will follow. Exactly how many, and how fast, will depend on manufacturing considerations. Tournament play support is planned. Ninja Division will help Palladium to develop and launch the program. Robotech® RPG Tactics™ is designed in partnership with Ninja Division. Ninja Division brings together the design talents of Soda Pop Miniatures and Cipher Studios, makers of Super Dungeon™ Explore, Relic Knights™, Helldorado™ and Anima Tactics™.